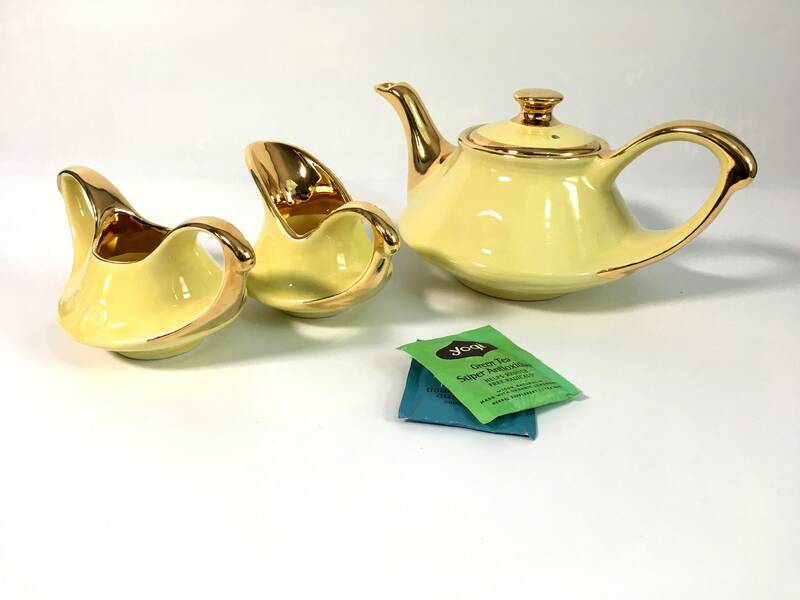 This vintage cheerful yellow and 22K gold teapot along with the individual sugar and creamer make up this three piece set. The whole set is in great shape with no nicks or chips - it looks as if it was hardly used at all. 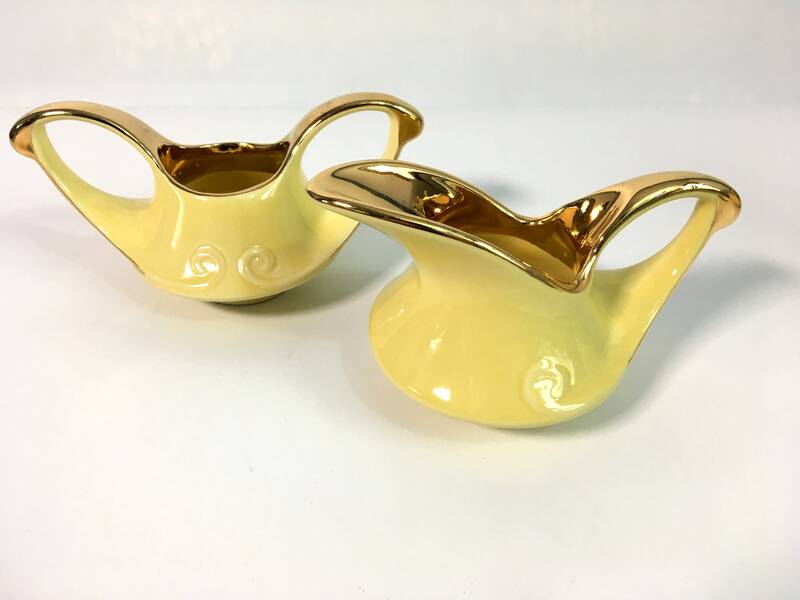 It's in a sold yellow color and the interior rims of the sugar and creamer are lined with gold as are the handles. 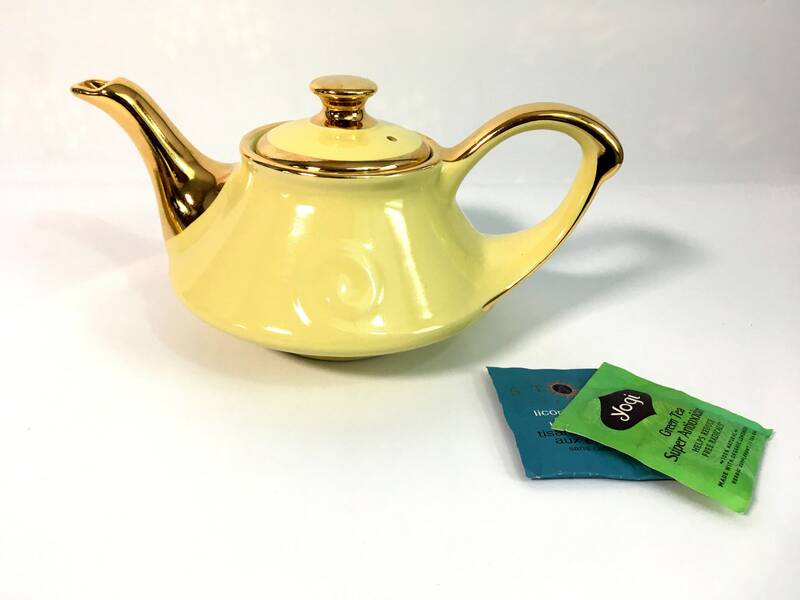 The 22K gold is also on the teapot spout, handle, nob and on the lid rim - there is a model of this teapot that is similar but does not have the gold trim on the lid. 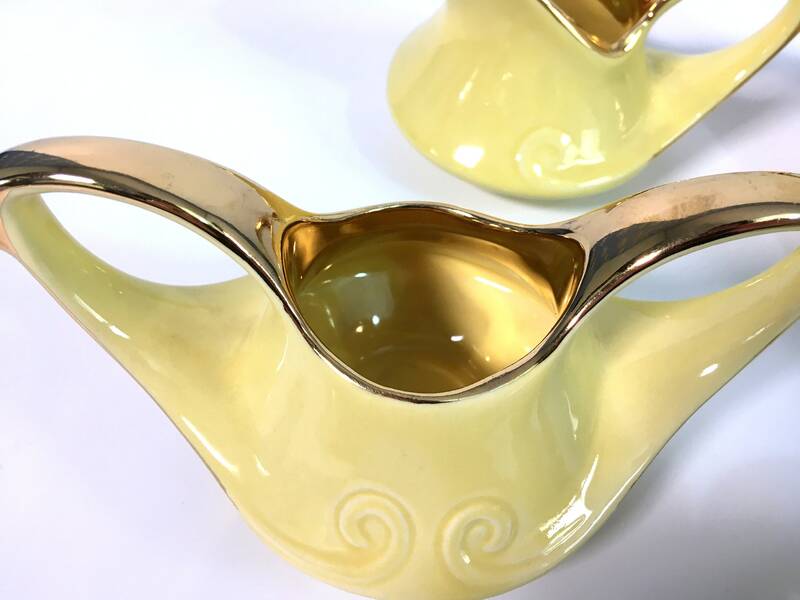 The teapot and the creamer have a single swirl shape on the front and back - one on each side. The sugar has two of these swirl shapes on each side. 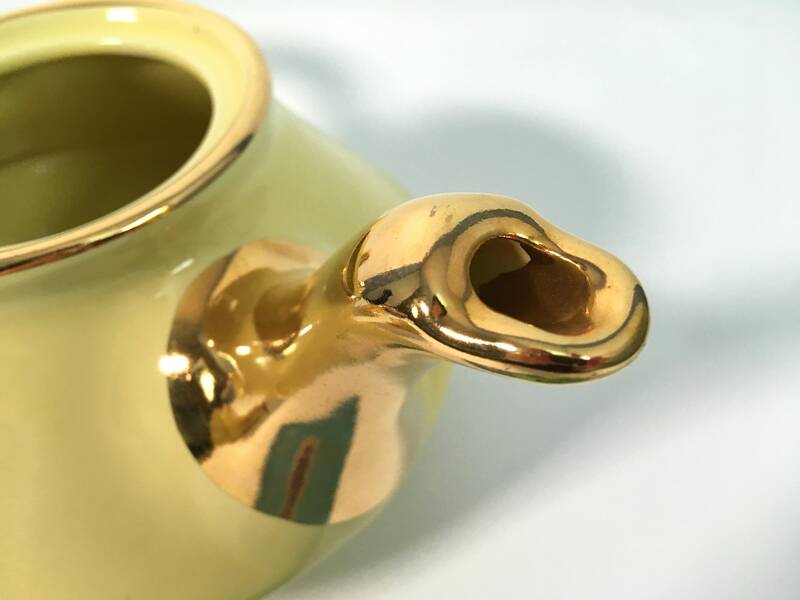 The bottom of the teapot says "22 K GOLD GUARANTEED USA" which identifies this as a set made by the Pearl China Company. 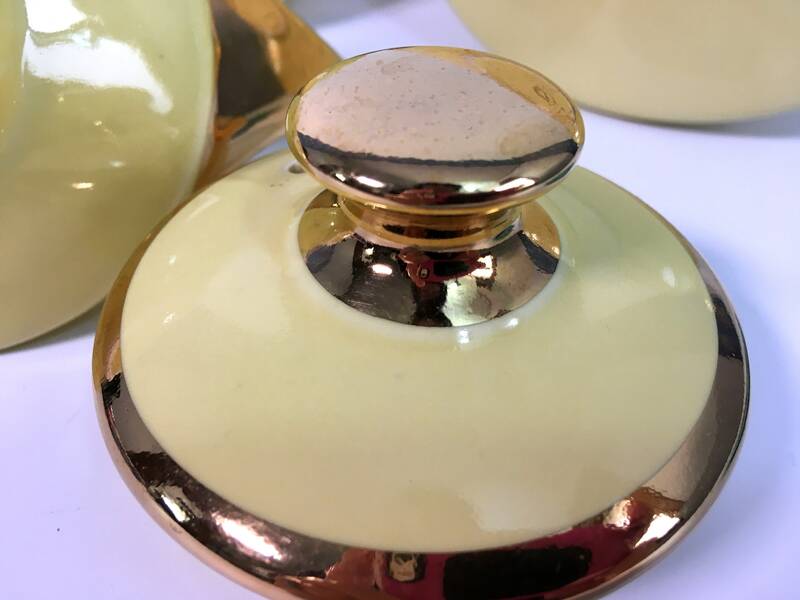 The Pearl China Co. made many items using a 22K gold finish. This particular set has a Art Deco look to it. 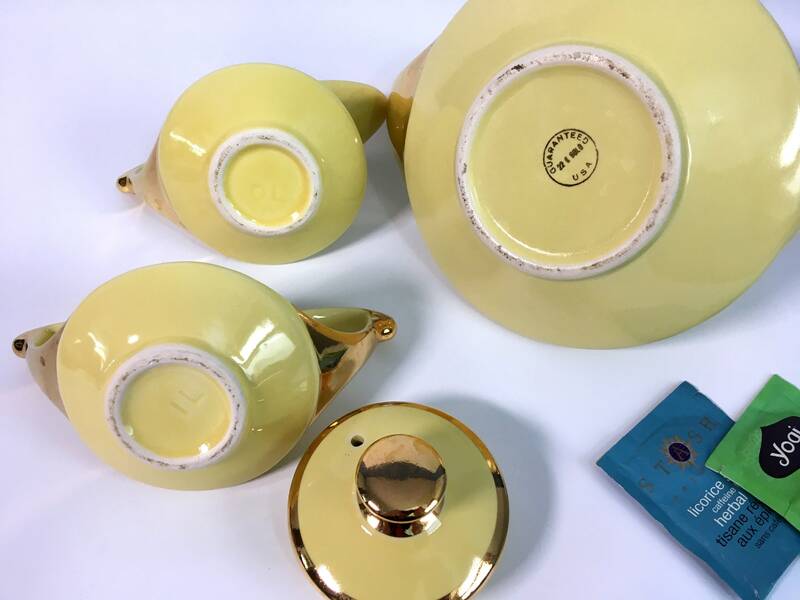 The Pearl China Co. was located in East Liverpool, Ohio, and has used the stamp that is found on the bottom of this set circa the 1930s. Yes, the gold is real gold. 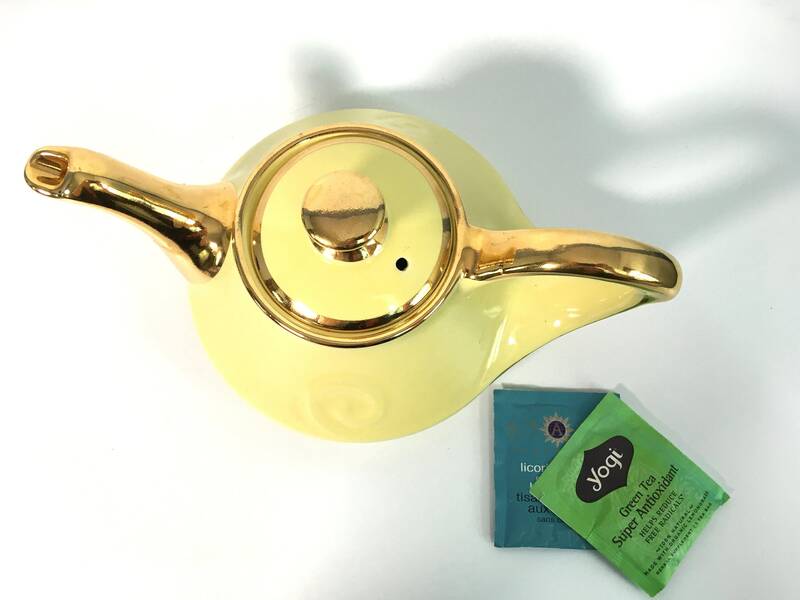 Teapot - 10" from tip of spout to end of handle. Top opening has a 3 1/3" diameter. Stands 4 1/2" tall to top of knob on lid. Holds 4 cups. Sugar - 6 1/2" from handle end to handle end. Stands 3 1/3" high. 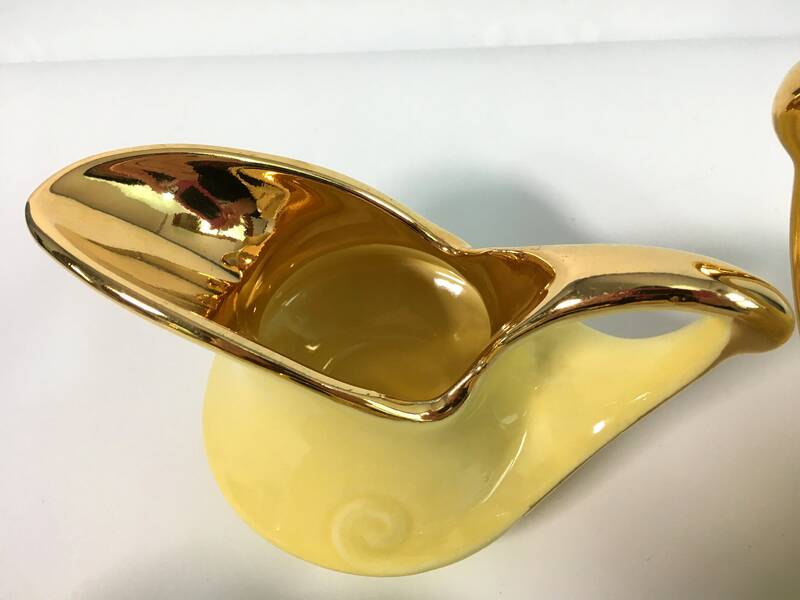 Creamer - 5 7/8" from tip of spout to end of handle. Stands 3 1/3" high. In great vintage condition with no chips or cracks - set looks like it was hardly used. The gold is in very nice vintage condition - little or no loss and still looks great. The only wear to be noted is on the bottoms from storage - see photos for detail. 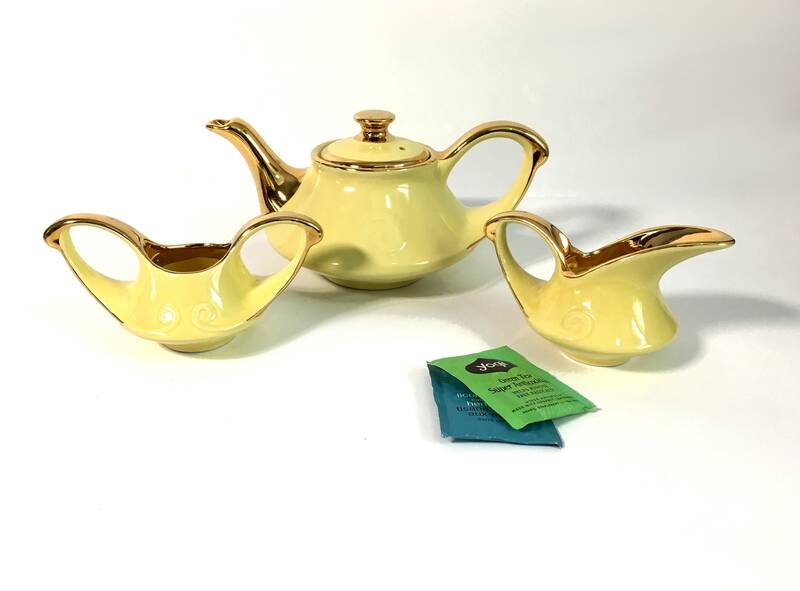 Just a glorious yellow and real gold retro teapot, sugar and creamer set.